The Pocket Guide to Guinea Pigs is JAM PACKED with over 240 pages of info and is an ideal guide when first starting out caring for Guinea Pigs and becomes a handy reference as your knowledge grows. 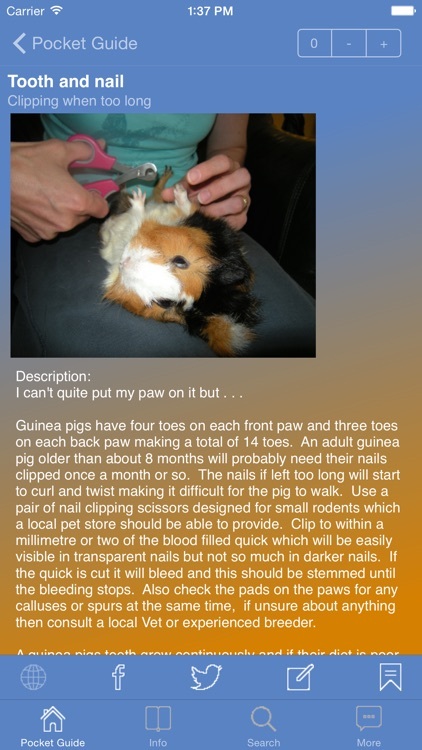 • Over 240 pages of information on Guinea Pigs with more being added over time. 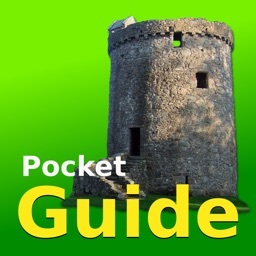 • A Wealth of information on feeding and caring for your Piggies. 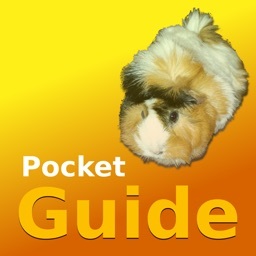 • Descriptions for 60 breeds or types of Guinea Pig found across the world. - nb. Includes rare breeds. 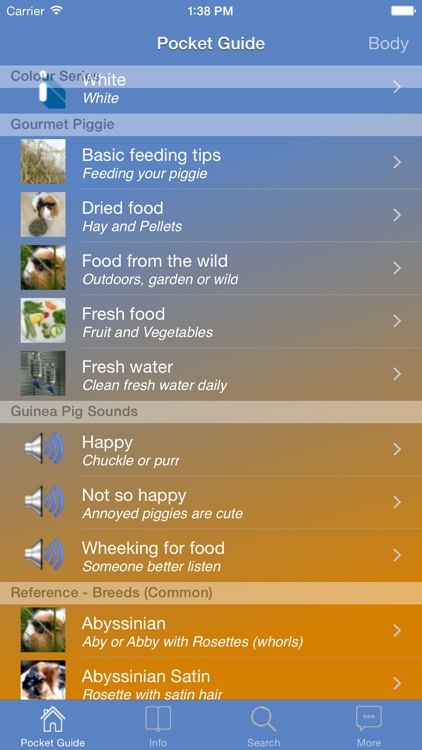 • Some of the rich variety of sounds that makes piggies so charming and endearing. - nb. Press the play button on the toolbar to play the sounds. • Photos can be tapped and zoomed. • Bookmark any entries to the Bookmark View. • Add Custom notes to any entry. • A Counter feature is available for each entry. - nb. Supports wildcard searching, also searches your custom notes. Help find when your Piggies are most active or asleep so that you can start to learn and understand their behaviour. - nb. 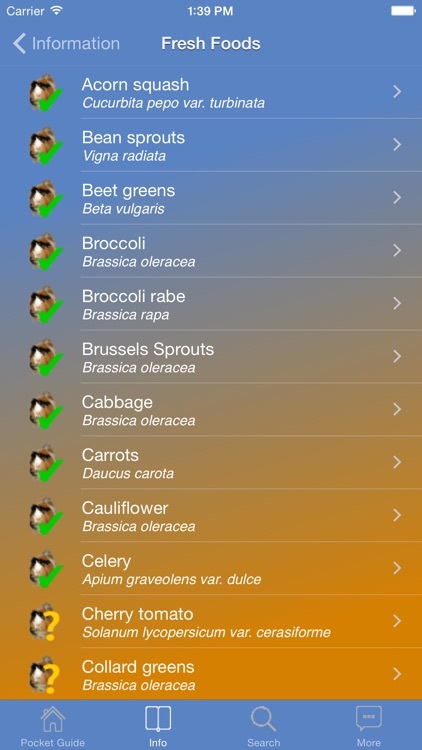 We left this in by mistake, If we receive many complaints about this feature we will remove it in the next version. In the meantime if you are in the UK, please feel free to use it as you like. • Contains video of actual birthing and the pups first wheek. • Contains video of a sick guinea pig that was handed in to a local breeder for medical treatment. - nb. While this is important educational material, some customers may find this distressing and therefore "viewer discretion" is advised. 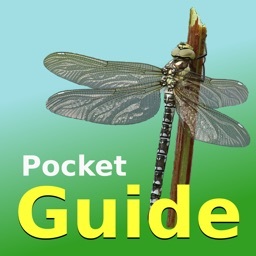 • Content Unique to this Guide has been researched and compiled with the input of several breeders with many years of experience between them and is not available from any other source. • This guide is not a substitute for professional veterinary advice and you should always consult a qualified veterinarian if unsure of any issues. 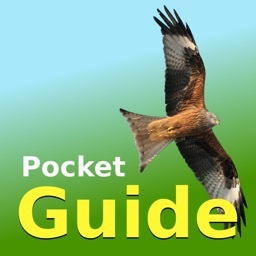 We welcome any questions, feedback or suggestions to help us improve the information in our Guide and will happily consider suggestions for new features in future releases. Contact us using any of the following facilities. • Please follow the instruction to install the DATA using the "CHECK DATABASE" function BEFORE leaving a comment on the Appstore. • Please consider updating your comment for us once you have installed the data if you didn't initially follow the instruction as requested. • We cannot answer questions left on the Appstore, please contact us directly with any support questions or issues. 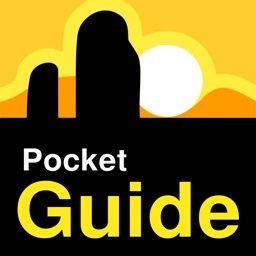 • This App DOES NOT require an internet connection to install the data. 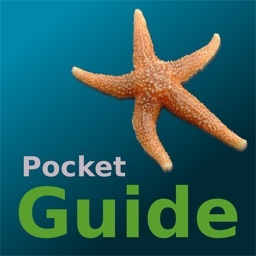 • This App has NO in-App purchases. 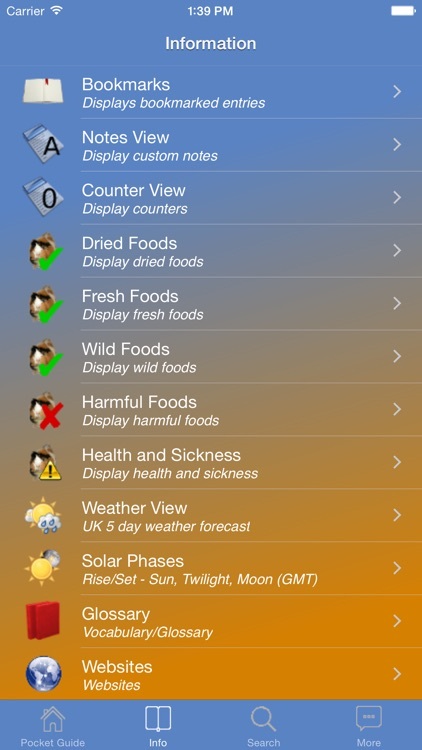 • Fading toolbars are configurable in the App settings page. 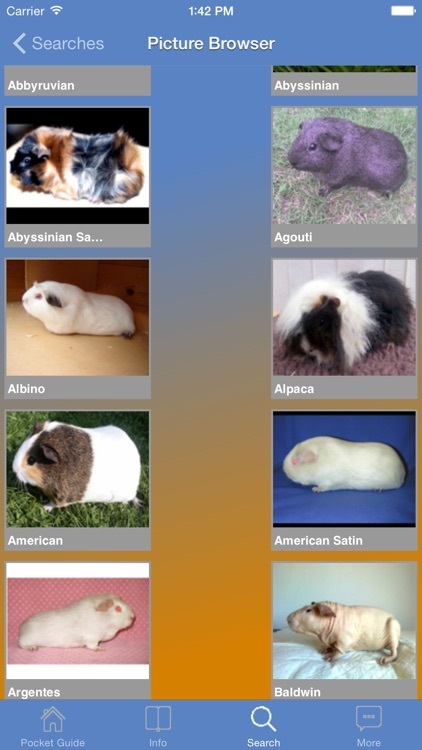 • We have not been able to obtain pictures yet for all Guinea Pig breeds and will update the App as we collect them. • Please let us know if we have missed any Guinea Pig breeds so we can add them. • All images are saved to the applications library/plists folders for reuse as required by associated license agreements where stated, where no license is stated image reuse is not permitted please contact the developers to discuss. • This App does not cover Inbred or Giant Cuys or the Capybara species.